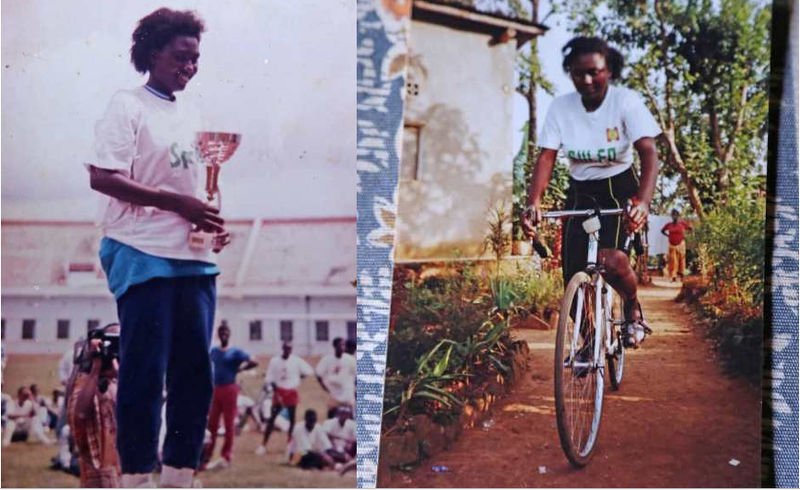 When Gender discrimination was at its highest, a young woman Marie Jeanne Mukankwaya 53 now defied the odds to become the first female to compete with men in the cycling competition in Rwanda in 1984. An only girl in a family of 8 children in Gatsata sector, Gasabo district, one day Mukankwaya decided to break the social construct that a woman cannot ride. She secretly took her father’s bike and struggled to ride to school, which she finally managed because her dream was beyond riding as an amateur. It was until 1980 at age 15 when she dared telling her father that she could ride to the father’s surprise. Four years later, Mukankwaya was ready to test her maturity as “a professional” but self-made athlete. A 56 kilometer long competition, “Ascension de Milles Collines”, a tour around the current Kigali Central Business District was organized in 1984 and Mukankwaya registered to participate. 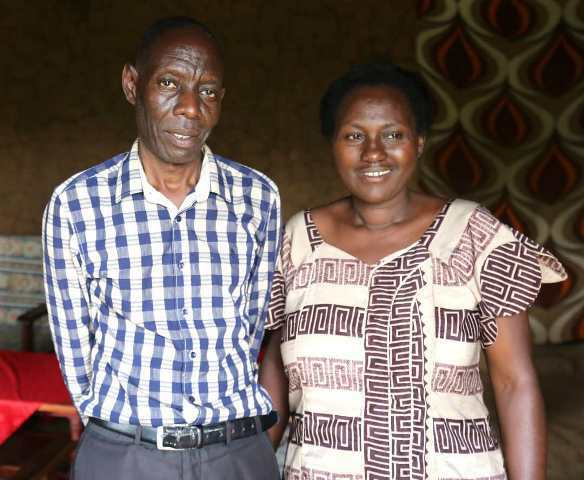 “I could not fulfill the requirements including paying the Rwf500 and having a bike, but after presenting to my father my wish to participate, he was very supportive. Not only did he help me register, but also accompanied me to the competition,” Mukankwaya recalls. The only woman among seventy men in the competition, Mukankwaya diverted the attention of spectators. “I was the talk everywhere, but most exciting was the interview with late Viateur Kalinda, then Sport journalist at Radio Rwanda,” she said adding that media forgot about the competition and turned focus on the young woman in the tournament. She was awarded with the amateur balloon tire bicycle. This attracted the attention of cycling competition organizers. The same year, she was part of Tour de Volcan in Musanze where she won a sports bike. By 1985, some female cyclists picked interest and teams were created in Musanze, Huye and Kibungo respectively. However, Mukankwaya had to wait for a competitor until 1989. In this year, the First Female Tour of Rwanda took place with eight women, and she won the tournament. It is unfortunate that, the award she won with Sonarwa, an insurance company was not given as promised. She was awarded Rwf180, 000 by Sonarwa, but in the agreement this money would be paid in form of school fees for her children in 2020. Unfortunately in the same year, her bike was stolen and she was obliged to claim the money to buy another bike. “Because I claimed the money before the agreed time, I was given half the sum and I bought another bicycle at Rwf80, 000,” she said. Mukanakwaya says that at the time, promoting cyclists was no business in Rwanda contrary to today. The Rwanda Cycling Federation (Ferwacy) organizes the competition and brings in sponsors, which makes the tourney attractive and useful to the riders. President Paul Kagame is also very supportive of the sport. In 2014 President Kagame hosted the Rwanda cycling team to a dinner at Serena Hotel and thanked them for not letting the country down and giving it the pride it deserves. He donated 23 sport bicycles, Pinarello Dogma, worth $ 14,000 each which they are using now. Chris Froome, winner of Tour de France 2015, rode the same bike. Mukankwaya did not get such a chance during her time. During her competition period, she could not afford a coach, rather, her neighbor, one Emmanuel Sekanyana, an amateur rider was the one coaching her. She later fell in love with the coach and got married to him in 1995. While Mukankwaya attended and won tens of competitions, she was happiest with Biathlon competition in 1992. This tournament was organized by the Ministry of Sports and Rwanda Federation of Cyclists. It consisted of 32 kilometers of riding and 8 kilometers of running around Amahoro National stadium. Mukankwaya won the female category and was awarded “a trophy worth and Rwf100,000”. “It was the most enchanting title because I won a trophy and it was handed to me by the wife of the French Ambassador who encouraged me to keep the momentum,” she told KT Press. 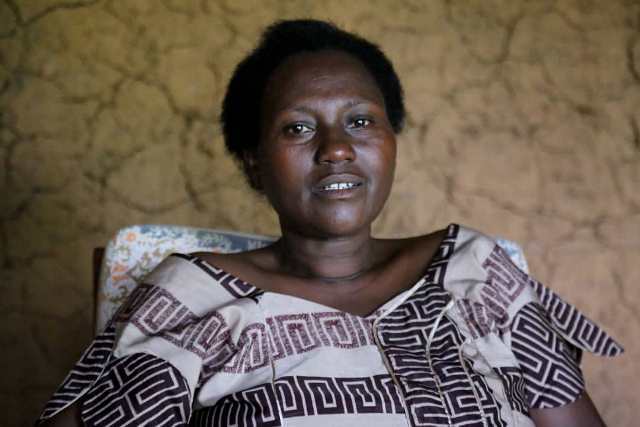 “Unfortunately I lost my Biathlon trophy during the genocide against Tutsi, the tragedy which killed many of my colleagues also took all my belongings,” she said. Meanwhile, in 1998, Mukankwaya was given a bicycle by well-wishers who knew she was a professional rider and encouraged her into this sport again and in 2002, she bid farewell the competition. Currently a farmer at Mataba Village, Shengampule Cell in Masoro Sector of Rulindo District in the Northern Province, the mother of one still has cycling dreams but she does not know how she can make them come true. Looking healthy as an athlete, Mukankwaya told KT Press that she practices jumping the rope at least twice a week for half an hour every round, and runs 6 kilometers twice a week, but a bicycle is still her favorite. “Due to living conditions I don’t have a bicycle, but if I had it, I would be riding every morning and evening,” she said. Mukankwaya has dreams of forming a female cycling team which she would personally manage.